Political merch has long offered a potent way for partisans to proclaim their ideals. But in the MAGA and #MeToo era, it’s become especially prominent. We checked in with a pair of local purveyors who sell items from opposite ends of the spectrum. Dexter Morse is manager of Penn Quarter’s Washington Welcome Center, which sells presidential memorabilia (a.k.a. Trump stuff). Trump sells the best. We sell it all—hats, T-shirts, bobbleheads, masks, wigs . . . .
Out-of-town tourists. They’re excited—a lot of people say they can’t find Trump stuff in Wisconsin or the other places they come from. Ever have any well-known customers? You remember those boys from Kentucky who stood in front of the Native American? Yeah, all those guys got their hats from our store. Any altercations in the store? Two people almost fought. A guy was saying negative things about Trump, and a Trump supporter kept telling him he was cruising for a black eye. Would you ever sell any products that promote the Resistance movement? If he gets impeached, yeah, it’ll start coming, and we’ll have the Democratic nominee. But as long as he’s President, we’re going with Trump. What are your personal thoughts on him? I voted for Hillary. But at work, I just stay to myself. I don’t really want to put down Trump because we sell so much Trump stuff. So this is strictly business for you? Oh, no question. It’s how I make my living. Yeah, I’m going to be selling all the Trump stuff. Alex Posen and Dahna Goldstein run Resistance by Design, a company—partially based in Silver Spring—that sells scarves and T-shirts featuring progressive female lawmakers. Have you started thinking ahead to the next election? Goldstein: I don’t think we’ll get behind any specific progressive candidate. We’re about lifting up women who are running, lifting up women in the country, and giving voice to issues that matter to women. Have you ever heard any negative feedback? 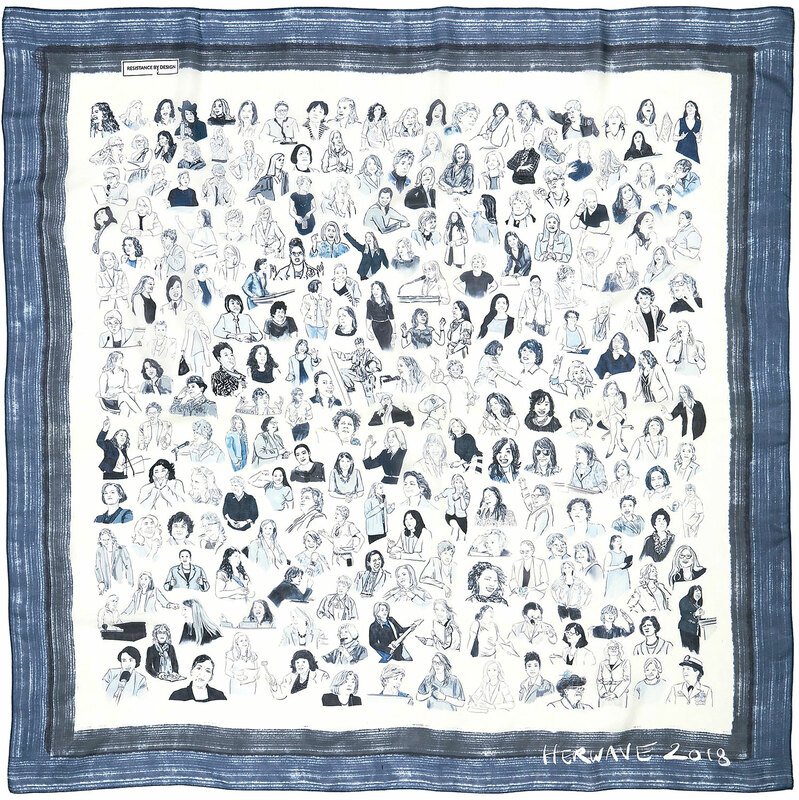 Posen: We’ve certainly had people say, “Why aren’t there any Republican women on the scarf?” And our kind-of-sad joke is, well, it’d be a very, very small scarf in that case. As product designers, what do you think about the MAGA hats? Posen: I think they’re ugly! From a style perspective, they’re terrible. Goldstein: As somebody who lives in the area and is a fan of DC sports teams, I’ve been upset about the appropriation of red, because the city is all about rocking the red. I’m going to go out on a limb and assume neither of you would ever be caught in one. Goldstein: Oh, good God, no. And you can quote me on that.